Any casual student of American history can tell you that third-party presidential bids stand virtually no chance against the major two parties running the government. Due to enormous advantages that the ruling two parties hold in media coverage, financing and the winner-take-all dynamics of the electoral college, a third-party presidential candidate has never come close to winning the White House, and there's little reason to think that will change any time in the foreseeable future. So if you hold views that don't fit into today's Democrat-Republican duopoly, but you want an actual shot at clinching the presidency, what do you do? Run as a Democrat or a Republican anyway. That's the lesson of 2016, at least. This cycle, both Donald Trump and Bernie Sanders -- both of whom possess values, experiences and styles that break dramatically from Republican and Democratic norms -- ran what were effectively third-party bids for the White House within the two-party system. Instead of transforming themselves in order to match the GOP and Democratic party lines, Trump and Sanders engineered campaigns that spoke to their own personalities and commitments. Trump has embraced his roots as a brash and fast-talking businessman with little interest in hewing to Republican principles, and Sanders never once apologized for calling himself a democratic socialist and attacked Wall Street with glee. But instead of being laughed out of the race -- as most political analysts expected they would be last year -- they've had a transformative impact on it. Trump has caused a rupture in his party that amounts to nothing less than a full-fledged identity crisis for the GOP, and will likely win the nomination. Sanders has initiated what may be a sea change in Democratic politics that could be the end of the doctrine of technocratic and incremental change that's guided the party since Bill Clinton's presidency. Instead of biting at the heels of the two parties with third-party bids, they've helped remold them in their own image. The standard line about Trump in the early stages of his campaign was that he was both too right-wing and not right-wing enough to gain any traction with the Republican electorate. The problem with his reliably right-wing views was that they were too boorish. He did nothing to hide the xenophobia underlying his stances on immigration and national security. His sluggishness in disavowing the backing of white supremacists signaled a willingness to pander to the racial anxieties of his white supporters. His encouragement of actual violence against dissenters at his rallies was considered an example of him taking his working class machismo too far. Trump failed countless litmus tests for becoming a Republican politician. Republicans liked him anyway. On the other hand, Trump also seemed far too liberal to win the nomination. He's been inconsistent on abortion. He's secular and often profane. 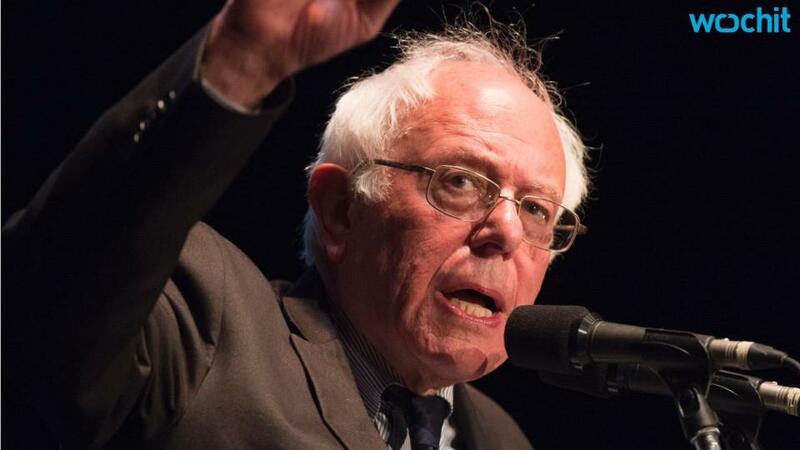 He even had some positions further to the left of the Democratic establishment -- he has a history of support for single-payer health care and recently said he would refrain from taking "sides" in IsraeIi-Palestinian peace negotiations. On trade, he's bucked free market fundamentalism entirely, promising protectionism and matching only the socialist in the race in his zeal to inject new regulations into that realm of economic policy. Trump failed countless established litmus tests for becoming a national Republican politician. But here's the thing: The voters that make up the base of the Republican Party liked him anyway. Trump's run for the White House has revealed that the Republican Party doesn't boast the kind of ideological consensus that it once did. The ideological contours of American conservatism have shifted away from a relatively straightforward formula of affection for the free market and social traditionalism. Trump identified a gap in the market -- secular, nationalist, conservative voters who were more concerned with new solutions to wage stagnation than worshipping at the altar of free market capitalism. Republican elites have lost touch with their white working class base -- or in some cases have grown to openly spite them -- and Trump has been there to play to their anxieties and sweep them up. Even if the GOP finds a way to deny him the nomination, the party won't be the same after 2016. Sanders' self-described political revolution was also unexpected, although his anticipated shortcomings as a Democratic presidential candidate were a bit more simple: He was too far to the left to be considered viable by political analysts. How would a Brooklyn-born Jew who called himself a socialist, had never in his life been a member of the Democratic Party and spoke openly of class war stand a chance against Hillary Clinton, who early last year was the party's most dominant non-incumbent presidential candidate in modern political history? But Sanders did emerge as a challenger, and an impressive one at that. He rose in the polls over the course of 2015, he just about split the Iowa caucuses with Clinton and won by a landslide in the New Hampshire primary. As the nominating contests went on, Sanders failed to play well with voters -- especially black voters -- in the South, but outside of that region he's won or narrowly lost most contests. Sanders' popularity isn't in spite of his radically different vision of liberalism than Clinton, but because of it. Sanders' success is important because it's become clear that his popularity isn't in spite of his radically different vision of liberalism than Clinton, but because of it. Huge swaths of the Democratic electorate, especially young people, have been eager to donate money to and vote for a candidate who has unambiguously positioned himself to the left of the Democratic Party throughout his career, on issues ranging from the Iraq War to Wall Street reform to fixing a broken health care system. Sanders was able to tap into a hunger for this level of progressivism in the electorate precisely because, like Trump, he decided to test assumptions by running his own show. Sanders didn't change himself to match the liberal zeitgeist --he just decided to take the plunge when the liberal zeitgeist came around to matching him. While center-left wonks in the media used to the Clintonian focus on targeted policy proposals often take issue with his sweeping promises, his inattention to policy details and his grassroots theory of change, it's clear that huge portions of the country are quite fond of it. His belief in being unapologetic about ideology and using grandstanding as a negotiation tactic more closely resembles modern Republican politicking than Democratic. For better or for worse, it seems to work quite well. Regardless of the outcome of Sanders' bid for the White House, it's clear he's pushed both Clinton and the party as a whole to reconsider a host of positions and messaging on the nature of the economy. It remains to be seen if Sanders ends up creating a new generation of politicians -- Sanders Democrats -- who will be able to employ his strategy and brand of liberalism to the same effect. Earlier in March, Sanders said that he made the decision to run as a Democrat rather than an independent because he knew that he'd receive better media coverage and fundraising opportunities. He made the right decision. Even if he loses the nomination, it's clear that as a Democrat he's already changed a party he's spent much of his career raging against.